Last week I finished my Mini Teal Swap mug rug! 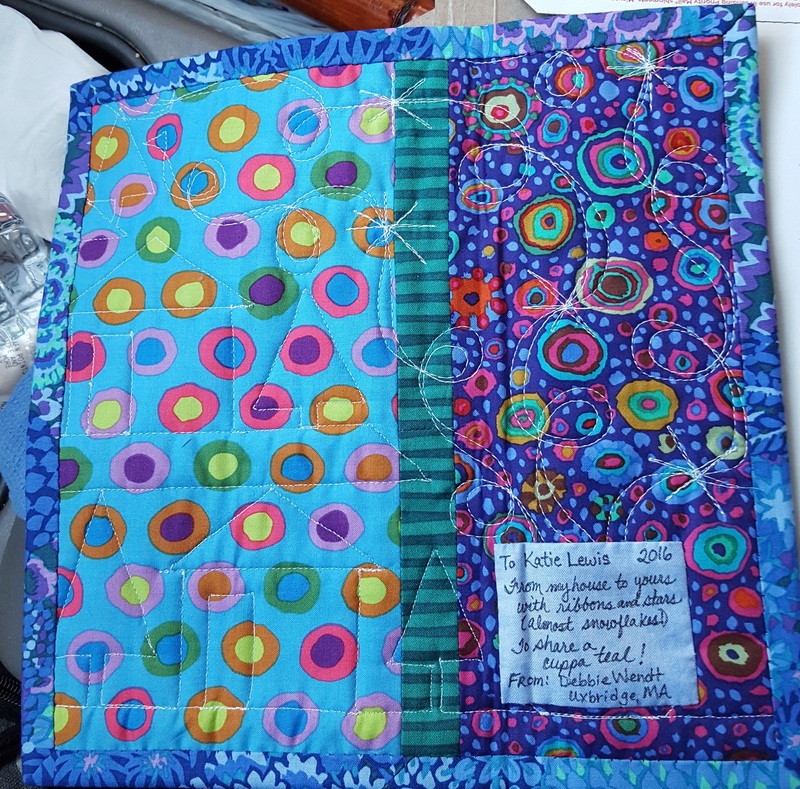 It went to a very active quilter in Kansas. I was so excited to get the mini she made for me. Thank you Katie! The mug rug I made for her is below. It was a swap and challenge all in one. We had to use the fabric I used for the mug/ cup and saucer. TEAL! The ovarian cancer ribbon color. I had fun hand sewing the foundation houses and making the mini! The swap raised over $4,000 for Ovarian Cancer Research Fund!! 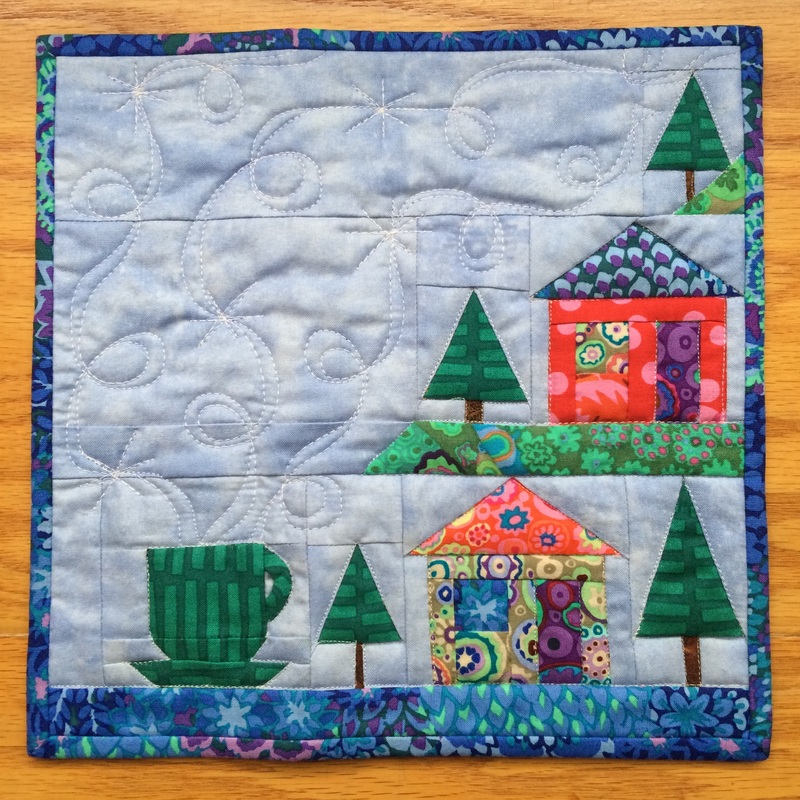 Quilter’s are wonderful! 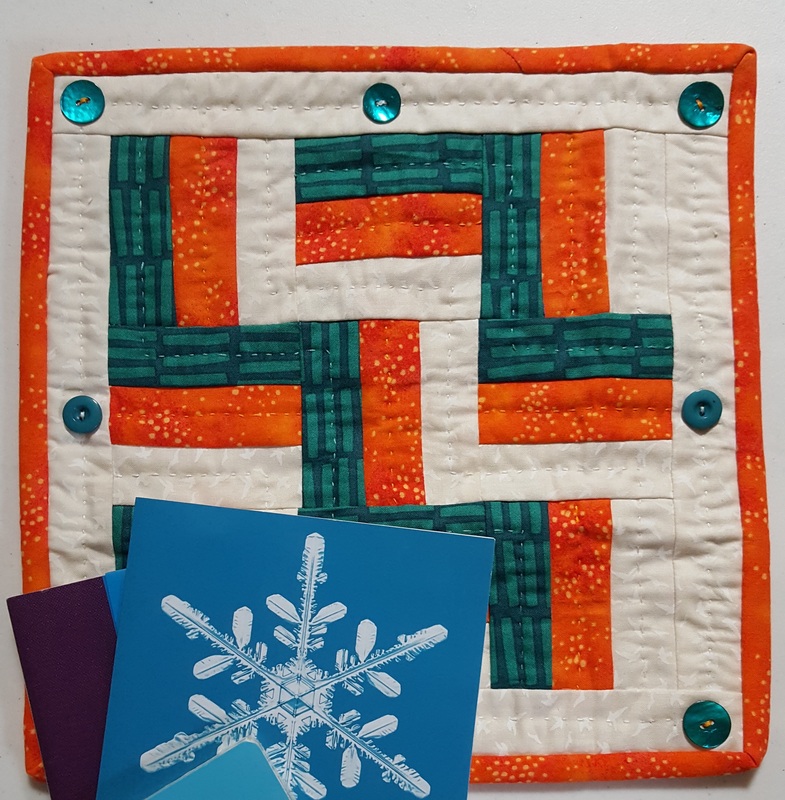 #1 – a great way to raise monies for support…make a QUILT! I love pieced backs. The mini is only 10″ square but I still pieced it. By piecing, I could highlight the fabric used for this year’s swap. 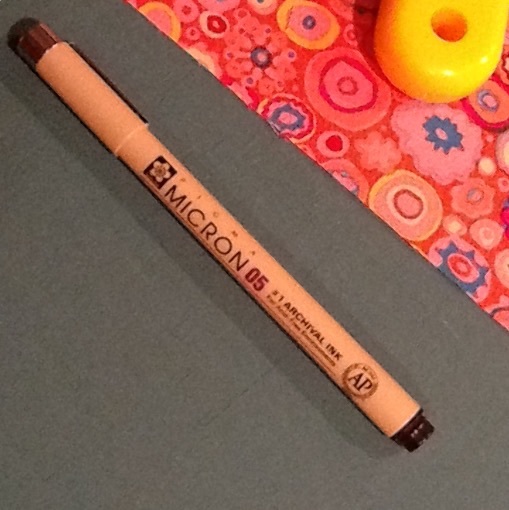 #2- use a Micron Pigma pen to write your label. This entry was posted in foundation piecing, Tips, Uncategorized. Bookmark the permalink. 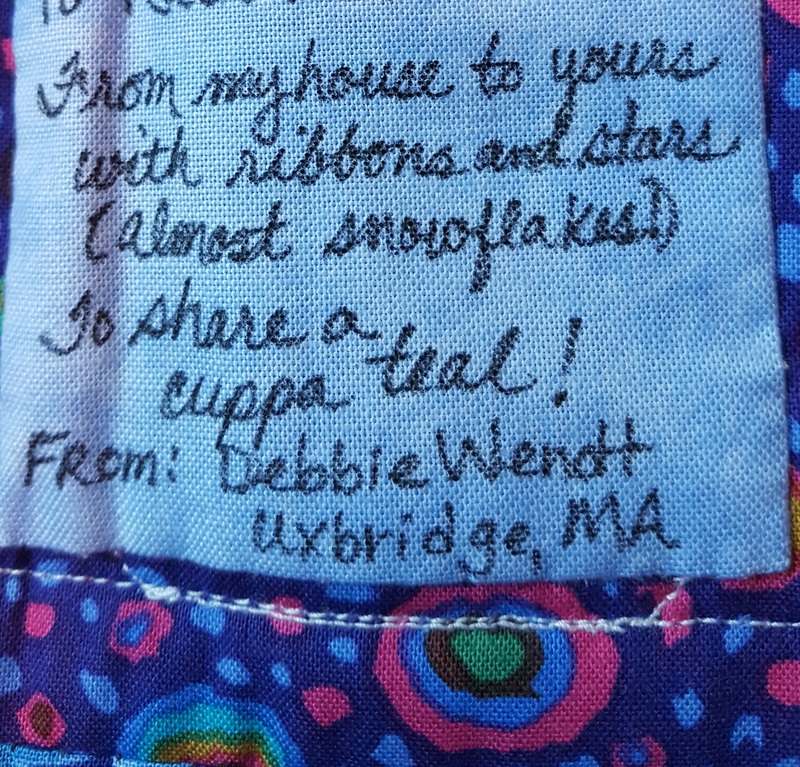 I mailed off my teal miniquilt this morning! It really is a great swap!